Made by Intuit, QuickBooks is a line of financial software designed to help small business owners stay organized. 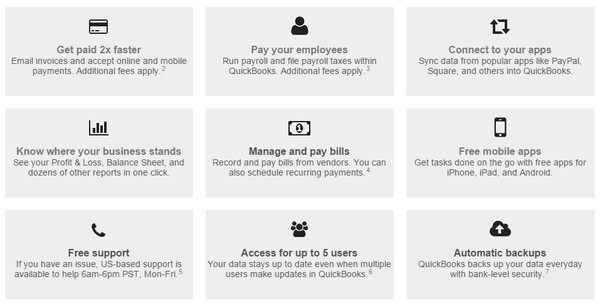 Small businesses can use QuickBooks Pro or QuickBooks Premier as a data hub for storing their vital details, including customer information, inventory specifics and income and expense reports. Among the software’s many features are options for creating customized invoices with company logos, tracking sales and expenses and managing customer, vendor and employee data. It also offers opportunities for managing bills and online banking. QuickBooks’ detailed calendar also tracks all appointments, to-do items and important business tasks, such as invoice and bill due dates. In addition, the software can instantly generate more than 100 different reports that allow small business owners to see year-over-year income and expense trends, along with details on things like top customers.